It is true when patients say that as we get old, so too – does our spine. As we age the discs that separate the bones of our spine start to naturally break down, and this is attributed to normal everyday living and activities. Understanding better – what factors promote or increase the risk of spinal degeneration allows us to improve our quality of life and avoid premature degeneration. A recent study conducted by some research experts in Mie University School of Medicine based in Japan and published in the BMC of Musculoskeletal Disorders followed the spinal outcomes of 197 individuals who were over the age of 65 for a period of 10 years. 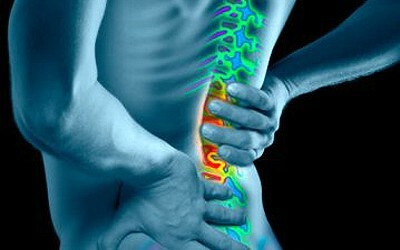 The aim of their study was to determine what factors, if any were associated with spinal degeneration. The research concluded to find that over the time span of the study – there was an average disc height loss of 5.8% and approximately 55% of the individuals in the study experiencing degeneration in one or two of their discs. There were three factors that seemed to increase the likelihood of degeneration within the study cohort. They were: 1) being female, 2) having knee osteoarthritis and 3) having evidence of lower back pain at the onset of the study. Based on these results, it is suggestive that women in particular should pay particular care to protect the discs of their spinal column. Maintaining a healthy weight, avoiding repetitive tasks or heavy lifting and not smoking (as previous studies have attributed this to higher rates of disc degeneration). Chiropractic care can assist with maintenance of the other two factors. Chiropractic treatment can assist with reducing lower back pain, which can further reduce the third factor of degeneration, this ultimately leads to benefits now and for the future.